Intel, one of the world’s largest computer chip makers, doesn’t want to be a wallflower while all the cool tech companies dance with autonomous cars, so the Santa-Clara based company announced today at the LA Auto Show that it will drop $250 million on autonomous vehicle technology. Intel has been working with BMW and Mobileye to get a fully autonomous car on the road by 2021, but now at AutoMobility LA, a press and trade show before the LA Auto show, the company wants to prove that it’s serious. 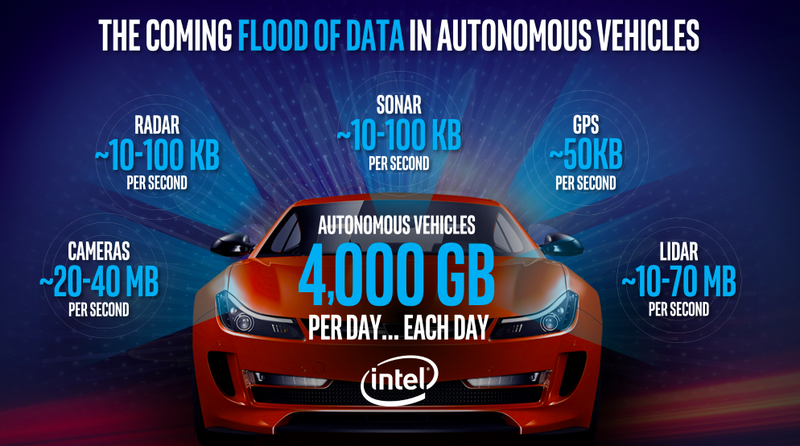 So Intel doesn’t want to build its own car, nor does it necessarily want to build hardware needed for autonomobiles; instead, the company is focusing on computing and manipulating the insane amounts of data that future self-driving cars will need analyzed every second. That’s probably a better plan than making a car from scratch. That hasn’t worked so well for tech companies lately.